I'm absolutely crazy about the color of this stone! 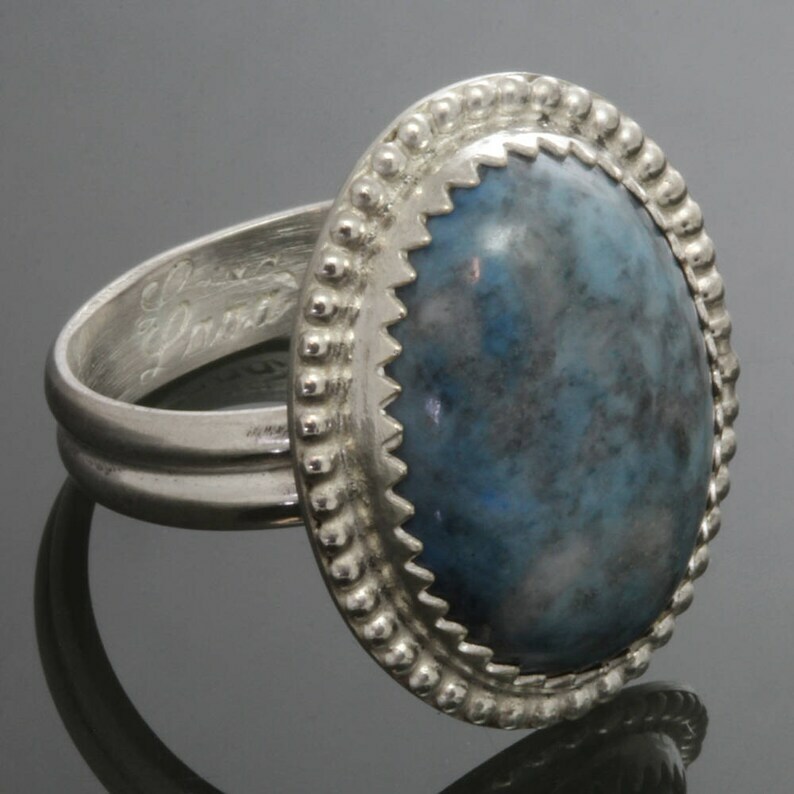 I made this lovely cocktail ring by setting a beautiful oval denim lapis lazuli gemstone in fine silver. The stone measures 18x13mm, and it has a beautiful display of light blue and medium and light grays. I put a beaded border around the stone. The ring band is a double-half-round shape, and it measures 4.25mm wide by 1mm thick, so it is super comfy. This ring is ready to ship as US size 7 (inner ring diameter = 17.3mm). Resizing is not available, but I do make custom rings. Blue Sapphire Stacking Ring. Sterling Silver. September Birthstone. Choose Natural or Lab Gemstone. Made to Order.